A trip to NYC has to include a Broadway show or three. The theatre district around Times Square is certainly a busy hub with many theatres packed into the neighborhood in the middle of Manhattan, their marquis all luring tourists to see their show. For my first Broadway experience I saw Beautiful, the Carole King Story and this was the absolutely perfect introduction. The show was delightful, flawless musical entertainment. The stage converted from a living room to a three story recording studio to a performance stage seamlessly and elegantly. It was fun to watch the pianos and furniture glide on and off the stage like magic. And there were two amazing costume changes that happened in a second that made me blink and wonder just what had happened. More magic. The joy of this piece is the music. Twenty-eight (yes, 28!) familiar songs from the 60’s. I knew every word to every song and it was obvious from the delighted sighs in the audience when an intro started up that I was not the only one. The cast is strong and a works together as an ensemble. And, it keeps building, the lead actor playing Carole King is Chilina Kennedy. Chilina spent her teen years in Kingston and many of us who do amateur theatre here know her from having worked with her on one production or another a few years ago. We are all very proud of her for arriving as a Broadway “star” and from the overwhelming standing ovation she received we are not alone. 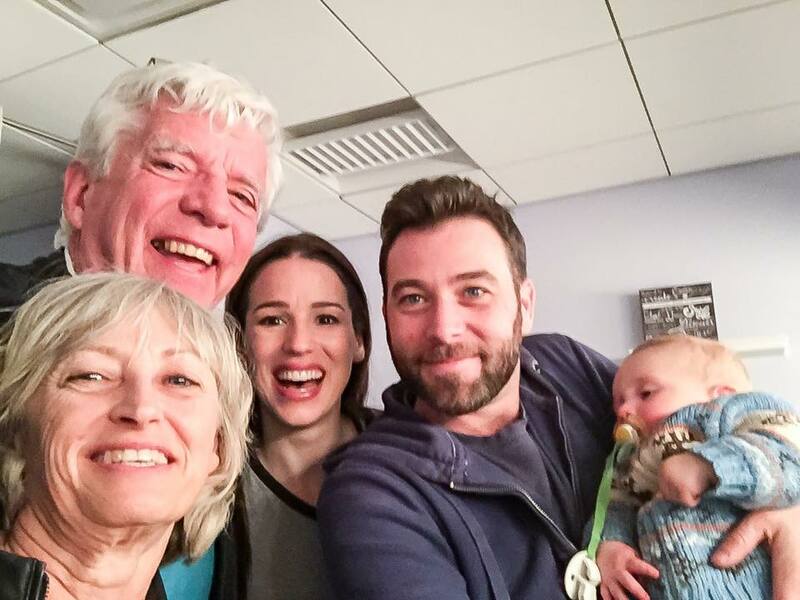 Despite her demanding schedule she was gracious to visit with us (along with her husband, my friend Jacob James, and her adorable son Henry) in her dressing room after the show. You can imagine that this was a memorable evening. Thanks, Chilina and Jacob for this fantastic introduction to Broadway theatre. This is a show that would appeal to everyone with perhaps a lean toward those of us who vividly remember Carole King’s Tapestry album, little Eva, the Shirelles, the Drifters and the Ritcheous Brothers. And Neil Sedaka, too. Book of Mormon was also on my list of “must see”. Where Beautiful is … beautiful, Mormon is explosive energy and very much in your face. You will need to be OK with over-the-top profanity and a deluge of politically-incorrect vulgarity to enjoy it. I absolutely loved it. I laughed non-stop and the time just flew by. Once again there is a talented young ensemble cast with many numbers having rich choral work. My choice for the best performance of the shows I saw was Christopher John O’Neill as Elder Cunningham. I could see this show again in a minute and know that there would be more funny little jabs that I would get out of it. It is not easy to describe this show. Suffice to say that the plot line revolves around two young Mormons being assigned to Uganda for their “mission”. 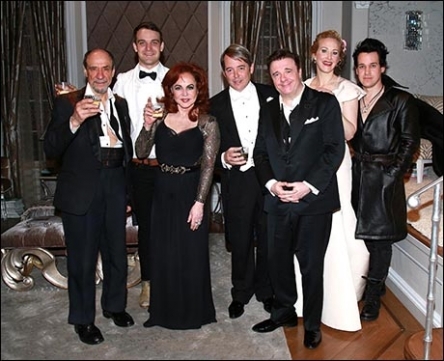 Here is a taste of the music performed at the Tony Awards in 2011. Listen for the multi-layered choral background. The third show we saw was It’s Only a Play. The playbill boasted an all-star Broadway award-winning cast that included Nathan Lane, Matthew Broderick, Stockard Channing, T.R. Knight, F. Murray Abraham and Katie Finneran. The play was terrible. The plot was non-existent and the whole thing was like an overly-long Carol Burnett sketch, including Nathan Lane breaking character at one point, laughing and throwing in a line. The cast, it seemed, were resting on their laurels, lampooning and mugging to the audience who seemed to lap up just seeing these stars regardless of the material. It was the worst piece of theatre that I have seen in the past five years and that includes high-school productions. The only glimmer of talent here was the newcomer, young Micah Stock. He was the only one that looked like he was trying or maybe not trying too hard. If you are in New York, don’t go to this piece of schlock. 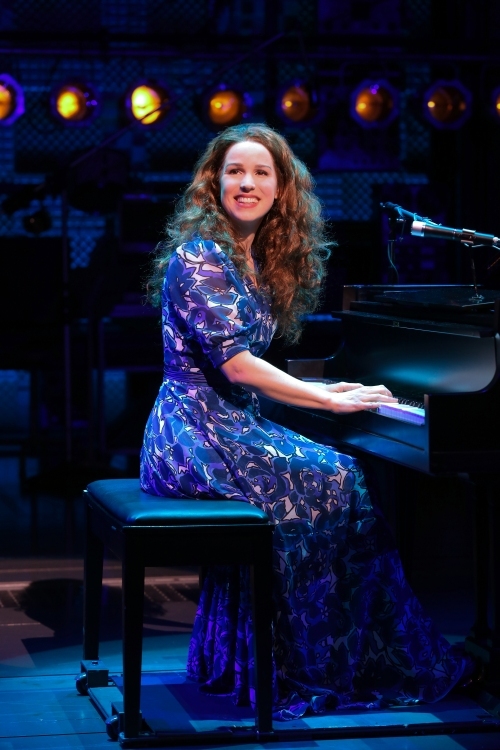 This entry was posted in Uncategorized and tagged Beautiful, Beautiful the Carole King Story, Book of Mormon, Broadway, Chilina, It's Only a Play, Kennedy, New York, New York City, Times Square by johnageddes. Bookmark the permalink.